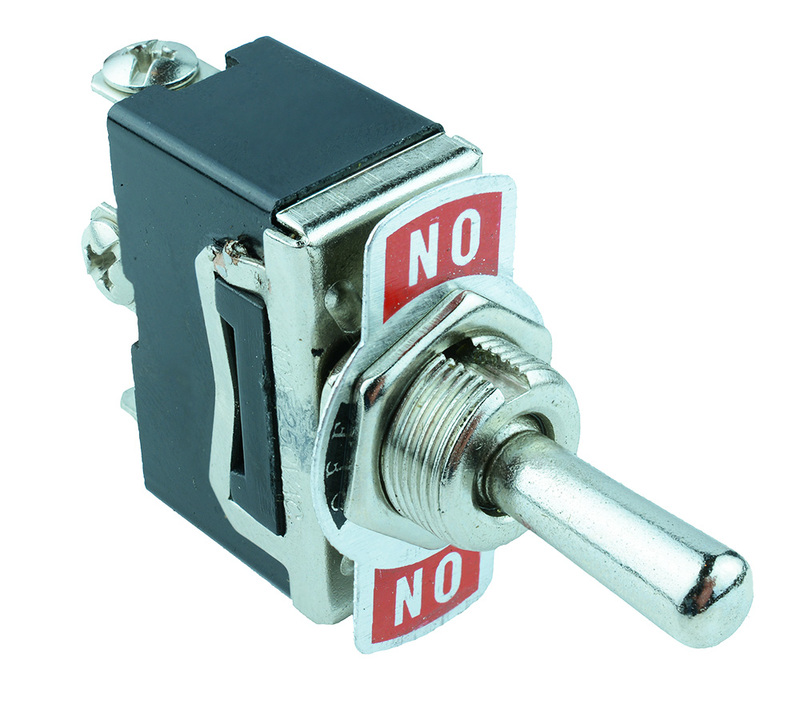 Standard size toggle switches featuring screw terminals and available in a range of contact configurations. The switches require a 12mm panel cut-out diameter and include a nameplate. 10A 250VAC rating, the switches are suitable for a wide variety of applications.